Every boater should have one of these bags. They are so useful that being without one is like not having a PFD or Paddle. I definitely use my dry bag more than my PFD since I don’t regularly swim, but I do regularly need to keep my gear dry. This bag is not prone to delamination and the seams are welded to create a solid seal. All attachment points for straps, lashing points, and buckles are triple reinforced to keep those high wear points solid. The handles are padded for comfort making this bag great to carry extra equipment in. I have also used these as carry ons and checked bags on airlines as well as travelling. They can be cumbersome to get into that really the only way that someone can pickpocket anything in them is to steal a bright orange bag or cut it open. Trying to rip off anything in one of these is too risky for most thieves when the lady on the subway next to you has a nice big open purse. To sum it up if you don’t have one and you boat, you need one. These bags are ideal for soft goods in a raft. Clothes, food, overnight gear, basically anything that you want to keep super dry and you don’t mind it getting tossed around a bit. Watershed does sell padded liners for cameras, but if you are a rafter I personally wouldn’t recommend that use. There is just too much going on inside a raft and too great a possibility that something sharp could penetrate it to risk an expensive camera. If you are a hard-shell kayaker thought these are great to store a camera in the boat to take pictures of your rafter friends being super cool without the bulk of a dry box. How is it in the water and how dry is it? It won’t die. Like really won’t die. This guy in Africa had one for 20 years and it was still going strong. This is seriously the only bag out there that will stay dry no matter what. I have wrapped boats on a rocks for 3-4 hours with one of these bags attached, getting pummeled, and my bag was still dry inside where the other guy’s dry bag ripped off and leaked after 30 minutes. Nails…that’s how tough. It has fallen off my truck when driving on the road, dropped in sticks, checked as baggage on an aircraft multiple times, and generally mishandled by rough river guides for years and it still doesn’t leak. The Dryzip closure can take some getting used to if you haven’t used one before. To open it you need to bend the zipper into an “S” shape. To close it simply zip it shut like a plastic zipper bag. You will need to get the air out first though so keep it open about an inch, compress the bag first, then zip it shut. You can also purchase the purge valve upgrade. The other important consideration is that the Dryzip closure will become difficult to close when it is not properly lubricated. I use 303 Aerospace Protector on the zipper every 1-2 months depending upon how often I use it and store it open. If you do end up on a multi day it is probably a good idea to take a drybag patch kit with you. This really isn’t much of a question. This bag is the only bag we trust to keep our gear dry and watershed bags have never failed our team on the river. The real question is how much is having a warm and dry sleeping bag worth on a cold night at the bottom of a canyon? Also having a bomb proof travel bag that can get wet is a serious plus when you have a laptop or technology that you want to keep dry on the road. Summer day drips where you need a minimum amount of gear to have a good time and get off the river in one day. This bag can also work as a pillow in a pinch, just cover it in a shirt or some soft cloth, and inflate it to your desired loftiness. Anything you can drop in the Ocoee since it is the same size. 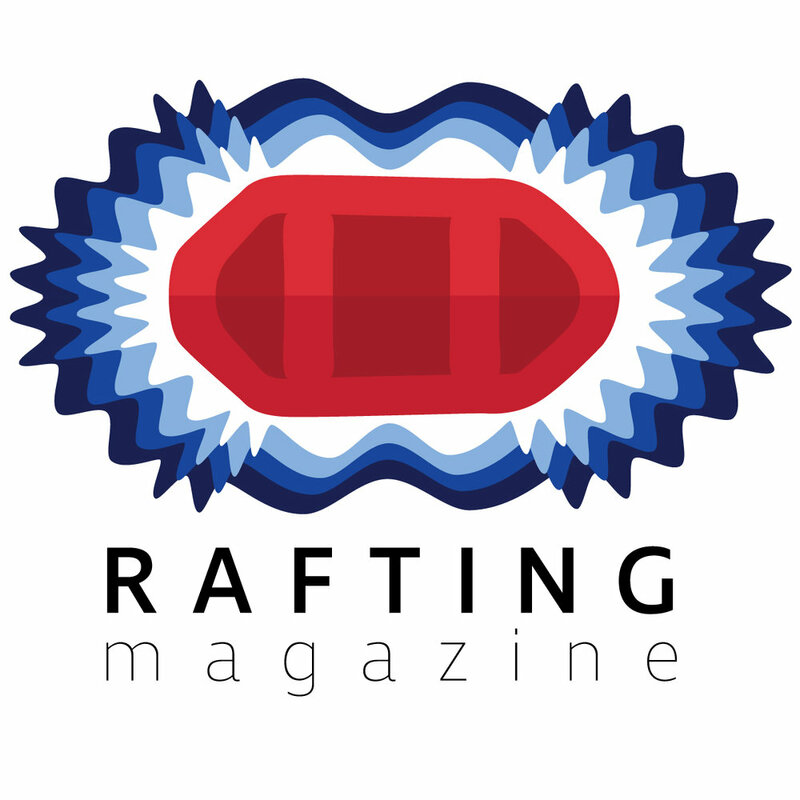 Canyoneering, Fishing, SUP, or activities outside your raft like wet muddy hikes. This bag is great to have along on multiday trips that you know you will be going for a side hike on. This bag is ultra-convenient since it incorporates a waist strap. 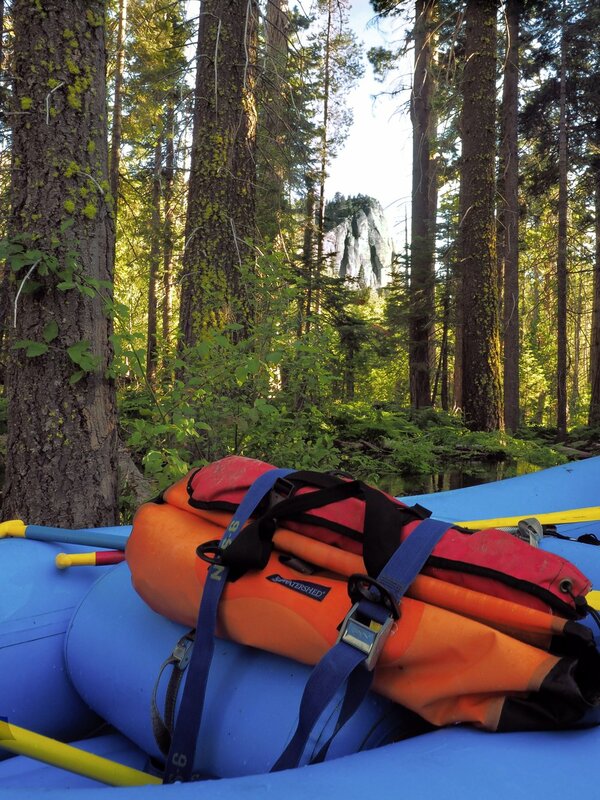 This bag is great and our go to for 2 people on the Tuolumne or other overnight trips in the summer. It is a bit tight for an overnight, but it works. Great travel bag for you clothes or to line your backpack when it is raining. Also, this bag will hold everything a boat load of paddlers will need in terms of spare equipment for winter boating. This is our all-around go to bag for most single day paddling expeditions or ultra-light overnights. This is the best go to for two people on an overnight / multiday. Just enough room for one person to live out of on multiday trips less than a week. 3 sleeping bags without compression stuff sacks. This bag is perfect for a single person to live out of for any length of time. Great for two people for over a week on the water or as a stash bag for everyone’s bedding. You could squeeze 4 people’s gear into this bag on an overnight. A body and some extra gear. Seriously, when we got our hand on one Kailee climbed in and still had plenty of room. She could have used this as a less comfortable waterproof bivy sack, but she’s tiny. For the rest of us, you can pack all of your gear to live out of and then some in this monster. There is easily enough room for 4 people’s equipment plus a tent or two and probably some extra clothes. Long wilderness multiday trips on large gear boats are this bag’s specialty. A small family rowing lots of long multi days can probably live out of this bag. This bag is definitely outfitter sized to easily handle large trips with lots of people. Through most of your sleeping bags and gear you only need access to once a day in here.